Have you been having any trouble in locating a trusted supplier of Steel T-Bars in Perth? It can be quite difficult to find something when you are not sure about what you really need. Before venturing out and spending money on Perth Steel T-Bars, it would be really good for you if you would seek first to understand what you are looking for. According to Steel T-Bars Suppliers in Perth, this particular construction material is used in a variety of ways. Primarily, they are used to provide support for openings such as doorways, windows, and awnings. These bars made out of steel provide assurance that the openings will not give way. They can also be used to support roofs. They can be an excellent means of wind-proofing a building’s roof. The bricks or the concrete that are being used to make walls can be quite heavy, and steel is a preferred material because it is strong enough to support walls and roofs. 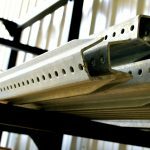 However, no matter how strong-looking Steel T-Bars can be, they will eventually succumb to damage, especially if they have not undergone the proper treatment process. You would surely prefer to purchase galvanized Steel T-Bars in Perth in order to maximize your investment. Steel T-Bars Suppliers in Perth can help you in choosing the perfect t-bars for your building. 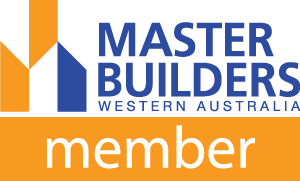 For example, Metwest has been one of the known and trusted suppliers in the area for the longest time. They are most knowledgeable when it comes to determining your exact needs. You would surely benefit from their expertise in this particular field. You can also be given the assurance that you are getting your money’s worth. Apart from the great products that they can provide you with, you will be more than happy to know that they can give you excellent customer service. They understand how much of a hassle it can be to procure Steel T-Bars. They will do everything within their means to ensure that you will have the most pleasant experience transacting with them. You no longer have to guess how much everything will cost you. You can ask them for a quotation and they will give you an estimate of how much the material would be. The very competitive prices will ensure that you will not have to break the bank or go over your intended budget. After you finally put in your order, all that you have to do is to sit back and relax. Bringing the items to your construction site will also be a breeze. The Perth Steel T-Bars that you have just purchased will be conveniently delivered to your doorstep right when you need it. You would end up saving a lot of money because you would not have to hire a truck to haul in your purchases. You can also easily check on the status of your order from the Steel T-Bars Suppliers in Perth so you will be assured that the preparation and the delivery is right on schedule. Are You Using Steel Lintels? What Are You Waiting For? Read more Are You Using Steel Lintels? What Are You Waiting For? Enter your email and stay up to date with product and specials news.